Talent, talent, talent. That is all we need to say about Isa. Music has been everything to him in his life. Whether it is performance or creation of music he's got it down. As a producer for several artists here in Boise he knows a thing or two about mixing beats. 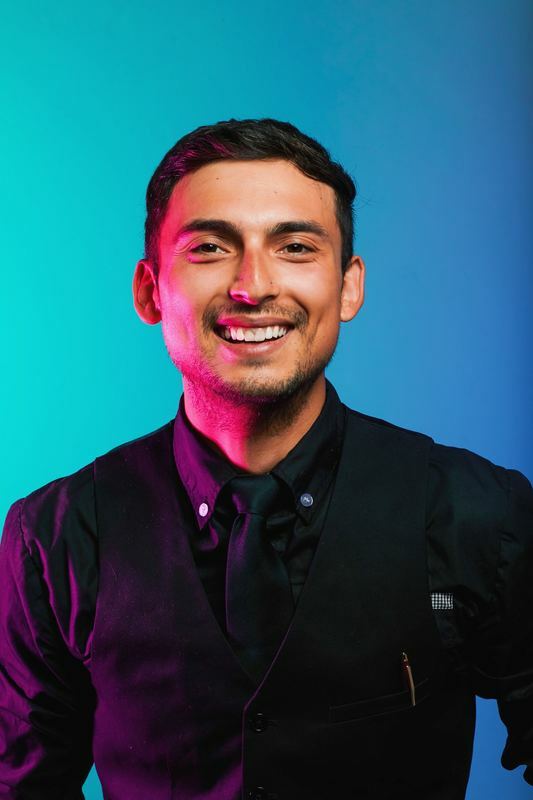 The reason he loves DJing weddings is the connection he gets to create with his couples. Being able to be there for them on one of the most important days of their life is incredibly valuable to him. You will feel that from your first time meeting him - he just cares about people! If you are wanting an event that every single one of your friends and family will never forget, then Isa is your guy! Isa is obsessed with music. Maybe even a little bit too much. He has mastered 10 instruments, and is not stopping there! In Isa's spare time he produces Hip Hop & R&B music. He got soul. One of Isa's passions is cooking vegan food. He loves making an elaborate vegan meal and surprising non vegans with its flavor. Isa is actually legally an officiant! One time during a wedding the officiant they had lined up bailed, and he was able to give a sweet, sincere ceremony! Obviously if you would like him to officiate your wedding we would recommend giving more than 5 minutes notice, but he is dedicated to his couples, and will support you no matter what! Isa, came over after speaking with Talon and let us know he was going to be taking over as the officiant. Now, in any other circumstance I would have been freaking out, but with his confidence and eagerness to help, it put both our worries aside. To say the least, Isa and soundwave easily saved our wedding and for that we will be forever grateful. Isa lead an AMAZINGLY beautiful ceremony with only 5 mins to prepare himself. It turned out to be, by far, a perfect night and it all started there. Thank you for saving the best day of our lives, it couldn’t have been done without you guys.